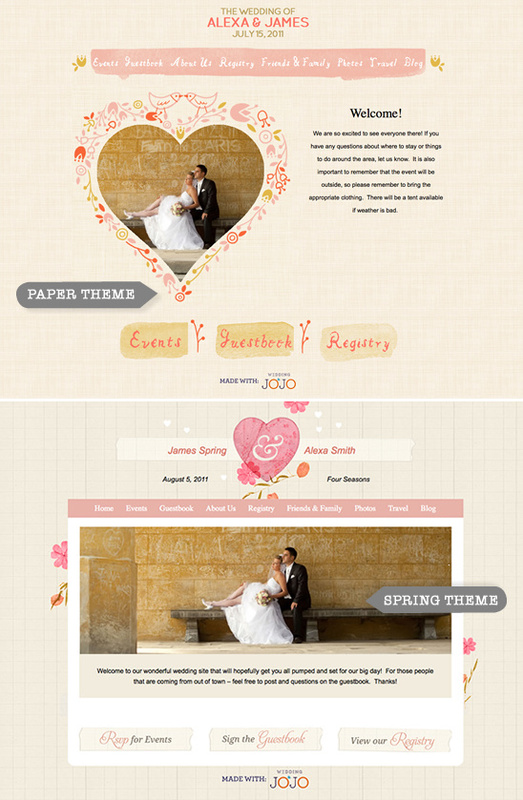 Thanks to Wedding Jojo, you can carefully organize all your wedding details and have a stylish wedding website. They really do have some of the cutest wedding web sites around town: modern, unique, whimsical, all designed to offer you a great looking and hip alternative to a wedding website. Below is just a taste of a few of their super stylish designs that can be color customizable to go with your theme. Love that! As we mentioned before, having a wedding website can really help reduce the stress that comes with planning a wedding. One feature that is a huge stress reducer is the ability to post all relevant travel and hotel information for your out of town guests. Stop countless phone calls about where to stay and what to do while visiting. Freeing up your time to do more important things like get your nails done. 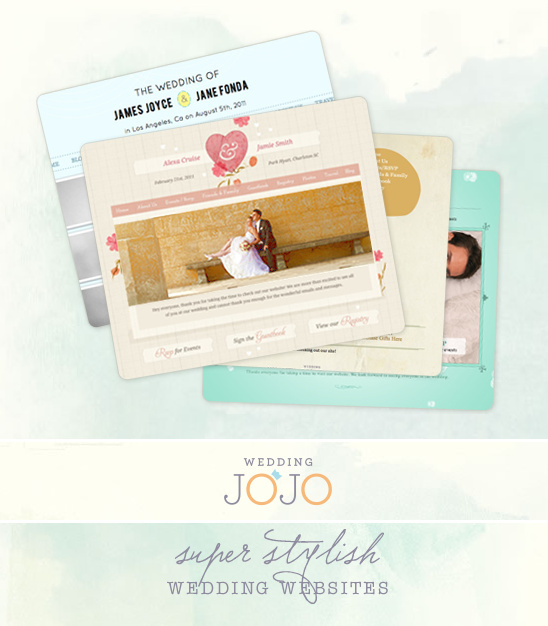 See more of Wedding Jojo features by clicking here to learn how you can free up more time. Hop on over to Wedding Jojo and share with us your favorite theme. Our is a toss up between Paper and Bliss. If you ready to start building your wedding web site click here. Yep ... they do have a free option.